FHNOS is a global organization established through cooperation of national and regional Societies and Organizations in the Specialty of Head and Neck Surgery and Oncology with membership from national and regional multidisciplinary organizations, representing 65 countries. The purpose of the Federation is to provide a common platform for Specialists in the field of Head and Neck Cancer to interact in professional matters of mutual interest. The Federation conducts quadrennial global Congresses involving multidisciplinary Specialists in Head and Neck Cancer in various parts of the world. In addition, it offers Global continuing Medical Education, through its World Tour programs, conducted by world leaders in the specialties of Surgical, Medical and Radiation Oncology, and allied specialties. The Federation has significantly enhanced international camaraderie, friendship and collegiality amongst Head and Neck Surgeons and Oncologists, from all parts of the world. 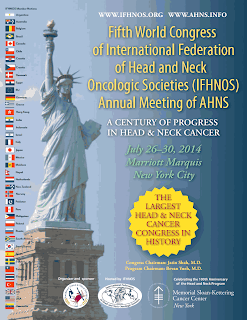 IFHNOS encourages international collaboration for projects of mutual interest through collaborative Research, and sponsors local, regional and national meetings for continuing medical education in Head and Neck Cancer. 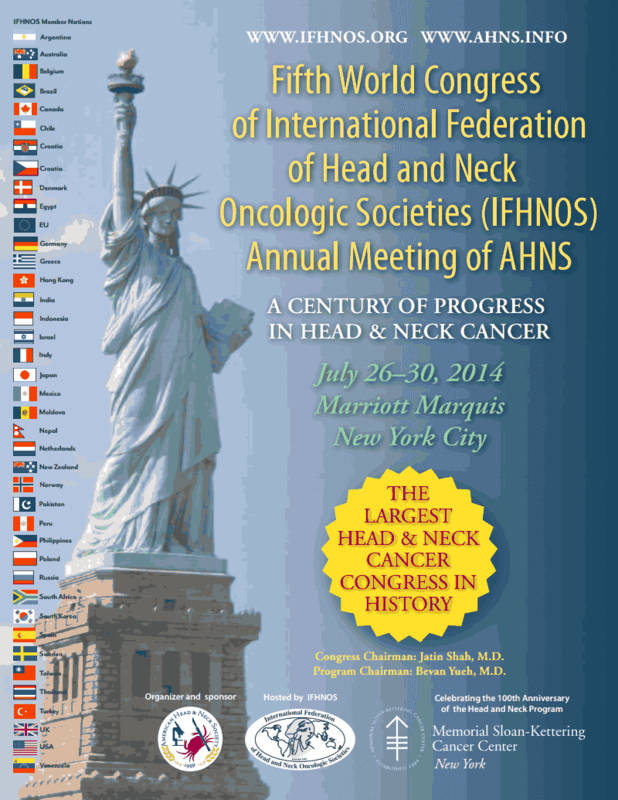 The IFHNOS quadrennial congresses are one of the most important and significant multidisciplinary conferences in the specialty of Head and Neck Cancer.